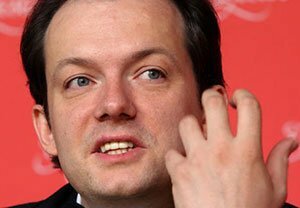 Andris Nelsons has just inked an exclusive three-orchestra contract with Deutsche Grammophon. The announcement this morning of a major milestone in conductor’s recording career prepares the way for: more Shostakovich with the BSO, Bruckner with the Gewandhaus Orchestra, and Beethoven with the Vienna Philharmonic. For record labels to enter into exclusive relationships with a conductor, much less an orchestra, is fairly unusual today. This explains orchestras’ having their own recording outfits, such as BSO Classics, LSO Live and CSO Resound. When RCA allowed its contract with the BSO to lapse in 1969, it could be viewed as a response to the Music Director the BSO had selected. The late Michael Steinberg maintained RCA had a large influence on Erich Leinsdorf’s hiring as the BSO Music Director in 1962. But William Steinberg, the conductor selected in 1969, though a wonderful conductor, did not have the backing of a major record label. Into the breach stepped Deutsche Grammophon, and in its first season in 1970, taped not only Steinberg but the talented assistant conductor Michael Tilson Thomas and guest conductor Claudio Abbado. At this point, a record label relationship with an orchestra, somewhat irrespective of the conductor was an anomaly that would not last. Orchestras were changing labels with their music directors (Chicago RCA—Martinon to London/Decca-Solti and Cleveland CBS-Szell to London/Decca Maazel), but within a few short seasons the record labels were contracting with the conductors alone, and the orchestras were being host to several recording companies. Thus, within the next 2 decades, the BSO was taped by RCA, EMI, DG, CBS/Sony, and Philips and several smaller outfits. The consequence of the announcement for Bostonians manifests mainly in DG’s extension of the already-planned series of live Shostakovich recordings with the BSO, beyond the composer’s complete symphonies, to encompass his opera Lady Macbeth of the Mtsensk District. This morning’s announcement also reveals that Nelsons will record Beethoven’s complete symphonies with the Vienna Phil over the years 2016-2019. In February 2018, Andris Nelsons will become the new Kapellmeister in Leipzig. The conductor debuted there in 2011 and has given regular guest performances ever since. He will next appear there in May with Bruckner’s Symphony No. 3. Nelsons first conducted the Vienna Phil in October 2010, and subsequently led the orchestra on tours to Europe, Japan and the US. The orchestra began their joint exploration of Beethoven’s symphonies with Nelsons in the “Eroica” in January 2016. He will return to the orchestra in 2017 with Beethoven’s Symphony No. 6 “Pastoral” on the programme.